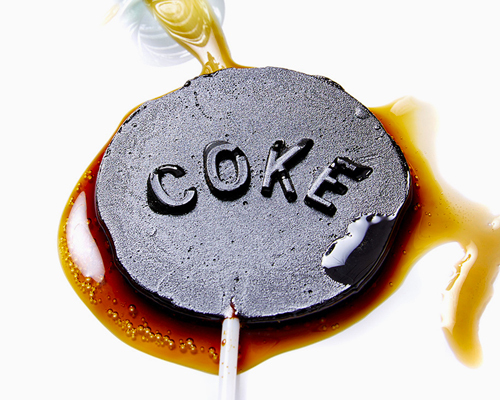 henry hargreaves is a brooklyn-based photographer whose primary medium is food. 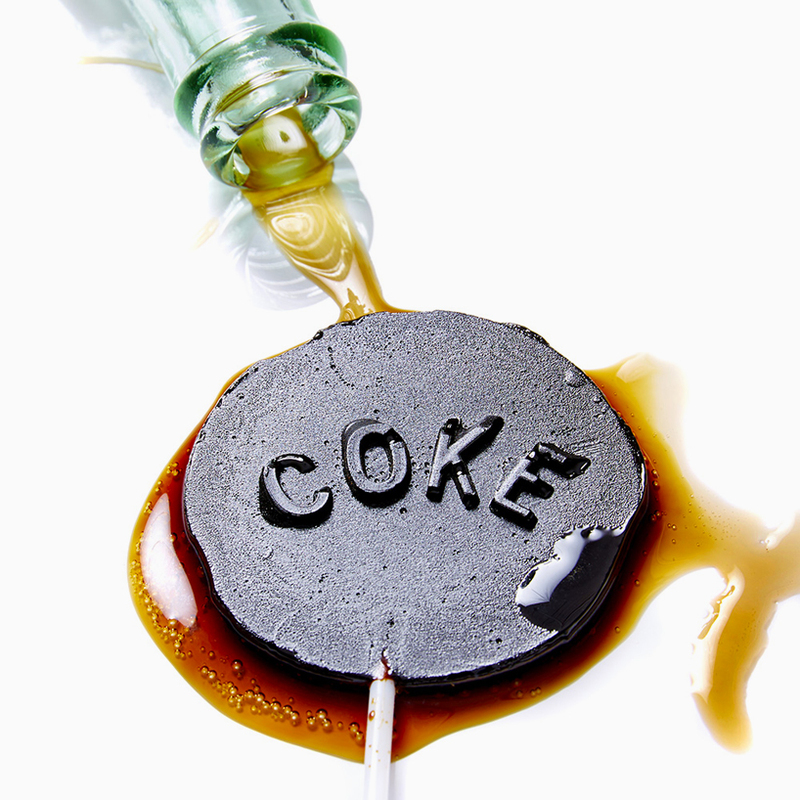 after recently hearing a health professional refer to soda as ‘the cigarettes of our generation,’ brooklyn-based photographer and food artist henry hargreaves wanted to find a way to visualize the tremendous sugar content in soft drinks. 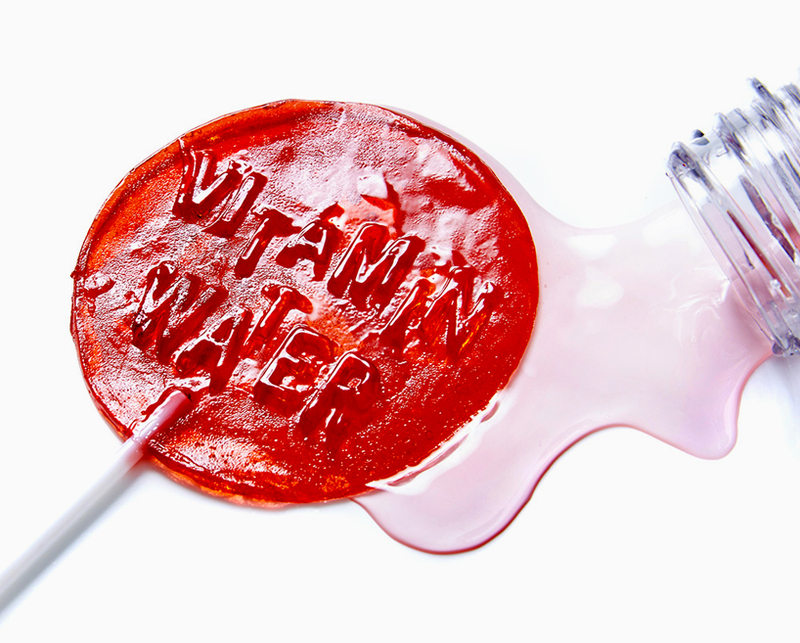 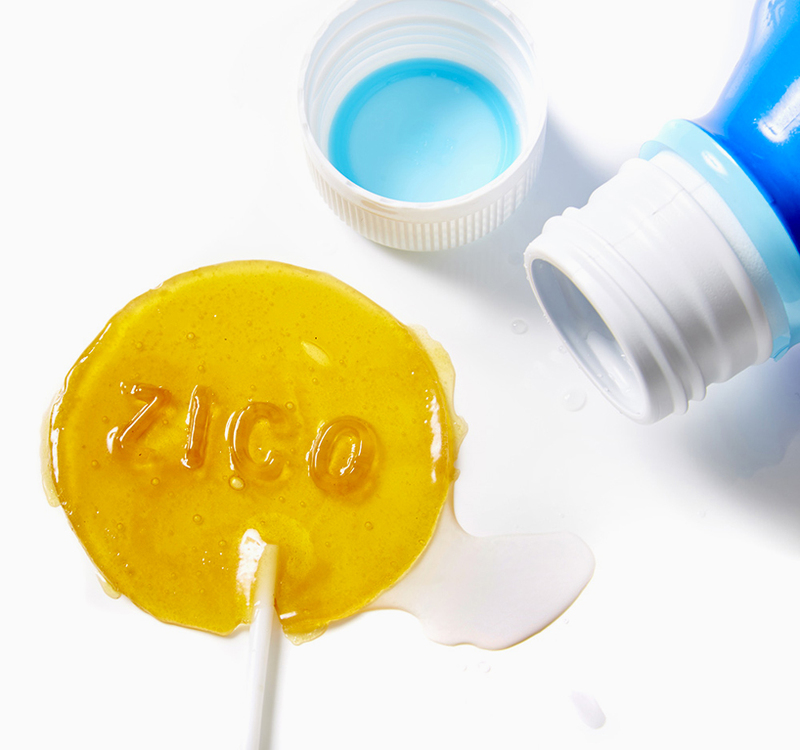 by boiling away the water of popular drinks like coke, snapple, vitamin water and zico coconut water, hargreaves was left with a sticky, caramel-like paste, essentially ‘dehydrating the hydrator’. 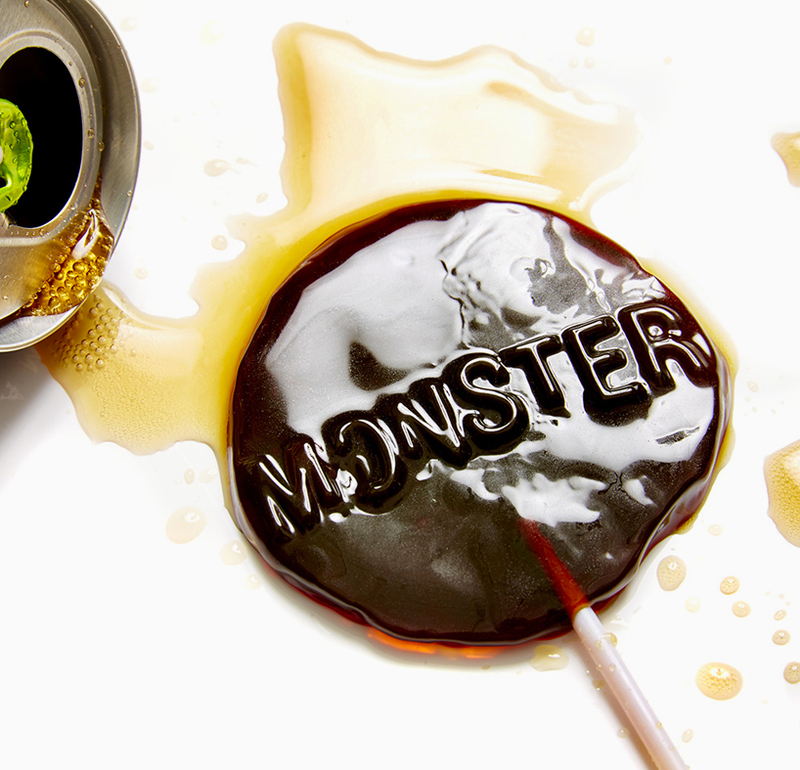 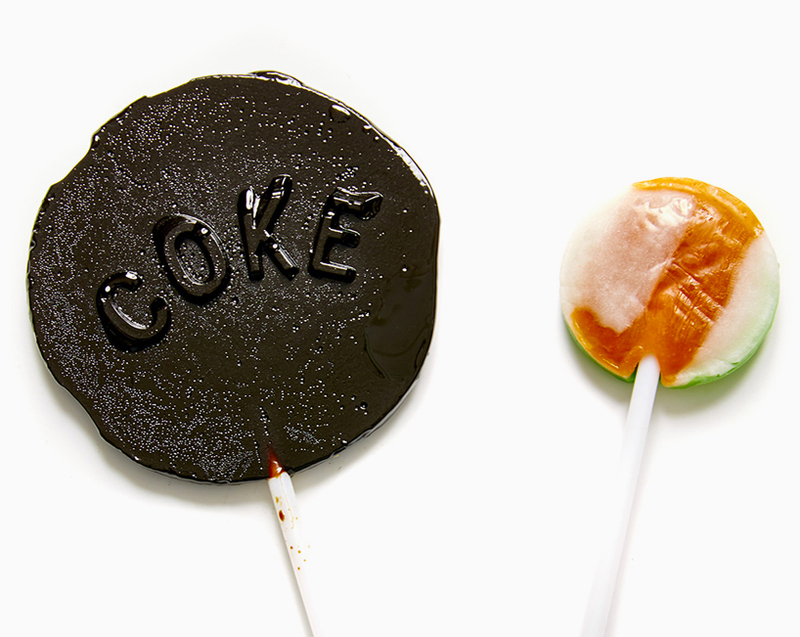 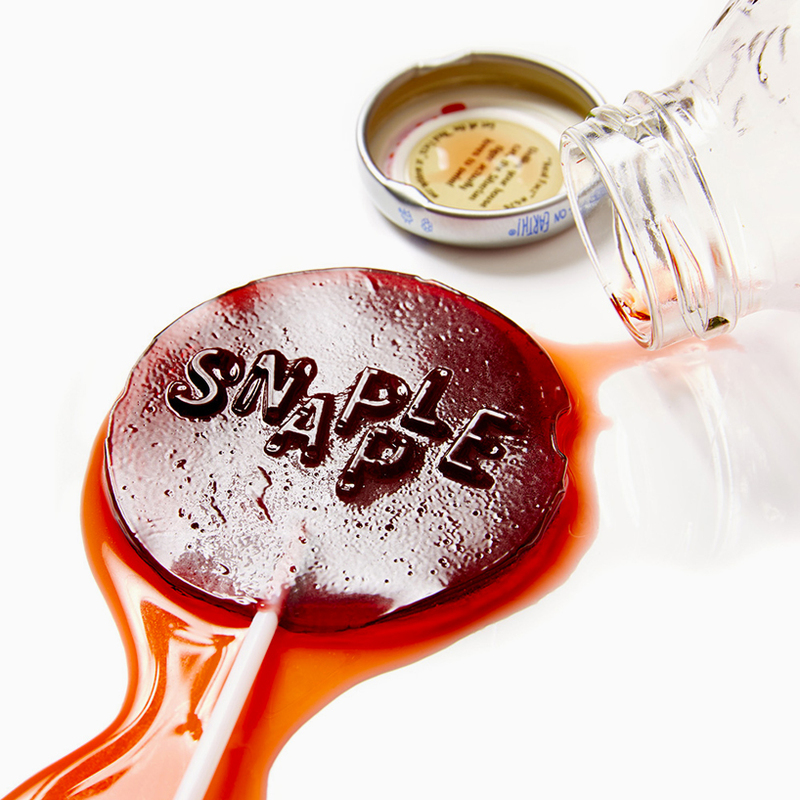 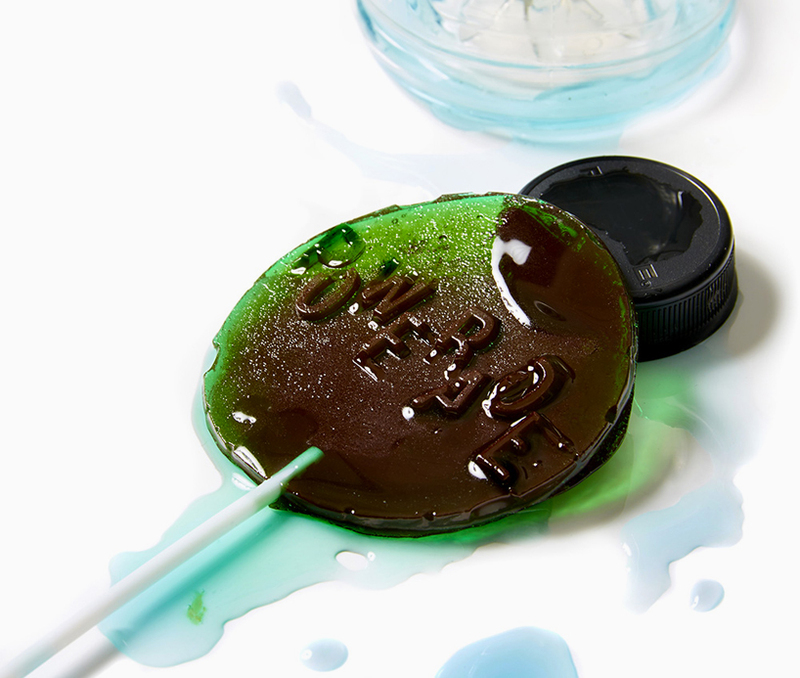 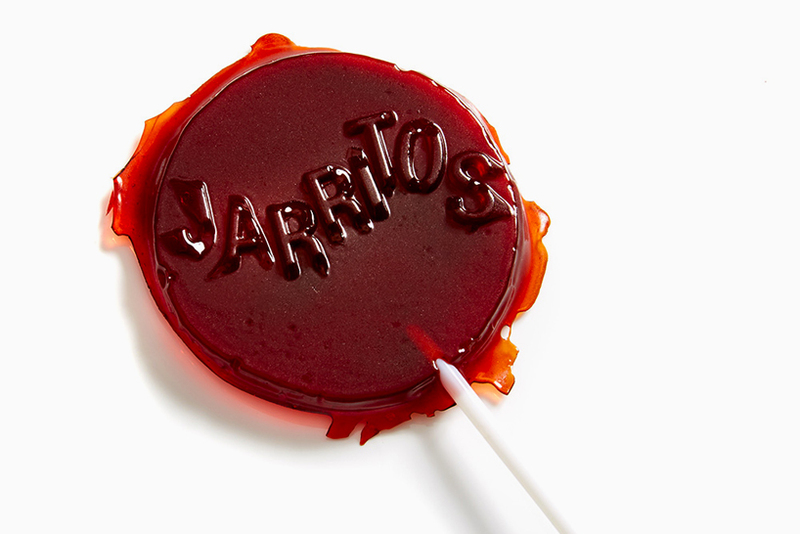 hargreaves took the remaining substance and poured it into a handmade, over-sized lollipop molds, based off the scale of the bottle the beverages are packaged in. 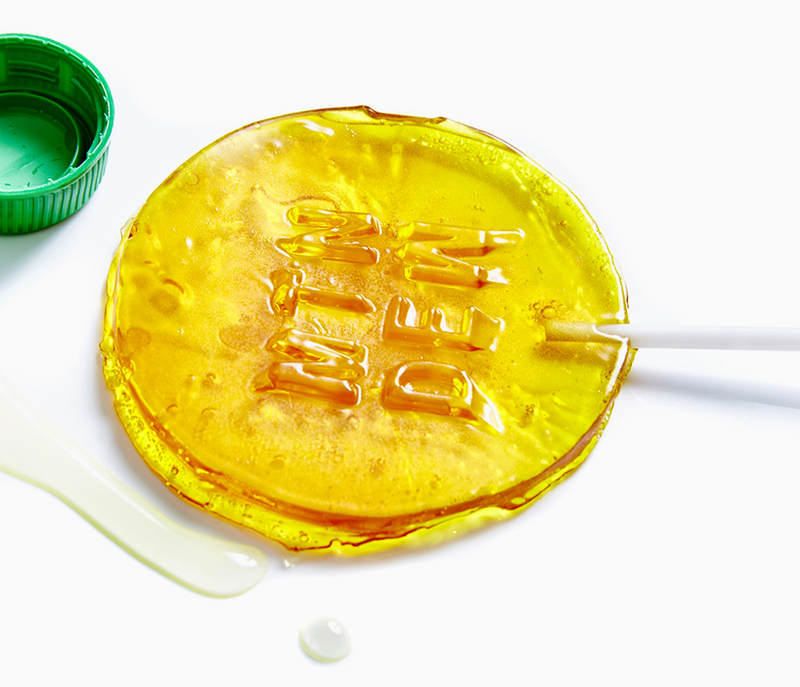 the resulting forms amount to a series of huge sugary pops titled ‘(de)hydrate’, which effectively communicate the over-saturation of sugar in ubiquitous refreshments, or what hargreaves refers to as ‘candy in costume as a soft drink’.